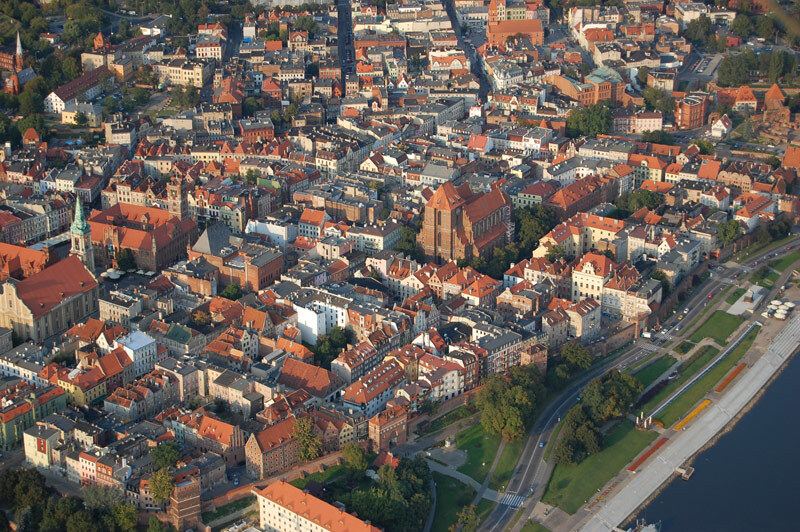 In August 1825 Fryderyk Chopin spent his second holidays in Szafarnia and visited Toruń. The 15-year-old Chopin was most impressed by the local gingerbreads and its sale method as well as fortifications, the town hall, Gothic churches, numerous granaries and a machine for sand transportation. Chopin found the Leaning Tower least attractive. Young Chopin, just as Napoleon, was probably shown the house in Kopernika Street No. 40 as the place of birth of the great astronomer. Today, tourists are shown another house located in Kopernika Street, namely the house No. 15. He was truly enchanted by the Gothic, as he had never seen such an accumulation of Gothic churches, tenement houses, granaries, gates and defence walls. He looked with admiration and explored thoroughly both the interior and exterior of the town hall and in a letter to his family he wrote that “the entire edifice is the most magnificent example of the Gothic style”.